Man, I hate trilogies. Trilogies mean you fall in love with characters, watch them grow, share in their lives and then they leave you. Forever. That said, I LOVED the Ashfall Trilogy. 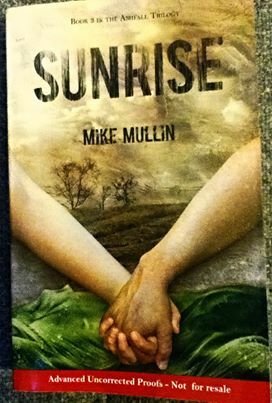 I was honored to receive an advanced copy of Sunrise for review and highly encourage you to buy this one when it is released. And if you haven’t had the opportunity to read the first two (reviewed earlier in this blog), run out and get those read now. This is a realistic post apocalyptic series where bad things happen to good (and bad) people. It is classified as young adult fiction, but as an almost 50 year old I can promise you the material is written for adults as well. Mullin has the ability to present young characters without dumbing them down or making the dialogue and subject matter boring to older readers. I especially thought that this third book, Sunrise, presented ageless characters rather than the “innocent” teens we met in book one. The premise behind the series is the eruption of the supervolcano Yellowstone and the chaos which quickly ensues. As society breaks down, small groups form, the remaining government becomes as evil as you can imagine in a world without controls and heroes arise. Book one introduced us to our two main characters, young teens Alex and Darla. Immediately it is clear Alex is pretty naive and Darla is a well-prepared brain for this new world. Watching the evolution of these two as Alex matures and rises to leadership, and Darla is crucial not only for her engineering skills but also as a level-headed partner for Alex, was interesting as a reader. I found myself totally able to see how this new world either makes you or breaks you. As I spent two nights awake reading and reading because Mullin writes books which can’t be left on the bedside table once begun, I found myself getting angry. As I said earlier, bad things happen to good people. Several times in this final book, I found myself very mad at Mullin. Just absolutely astonished at some of the turns taken for my two friends. But then I realized, wow. Mullin is good. He made me angry because first he made me care. I love these two teens. I was invested in their future and I wanted rainbows and unicorns. But in a post apocalyptic future, rainbows and unicorns are the first things to die. The worst part of the book Sunrise is that it ended. Knowing this was the final part of the story is sad for a fan and I’m hoping that perhaps one day…..maybe….book four???? Please. Love my young adult fiction which lets me enter a story without having to invest my entire soul and brain. 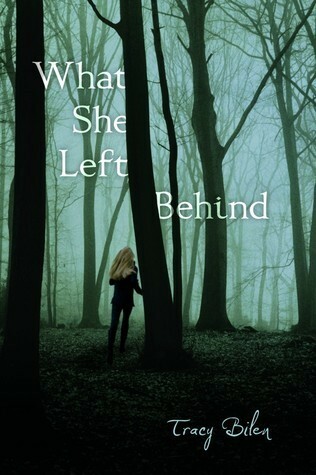 This YA suspense novel reminded me so of my childhood days of reading Nancy Drew – had Nancy been a little bit “loose” with the Hardy Boys. Main character Sara comes from a dysfunctional family with an abusive father who, unfortunately, is an ex-police officer. With that connection to the law, there appear to be no options for the family to escape. Alas, one chooses escape via suicide which leaves the rest of the family tattered, unsettled and even more the subject of abuse. This was a no-brainer read, yet the ending was enjoyable and even somewhat unexpected. It is always nice as a more than middle-aged mom to walk the halls of high school life from a distance. For a short time, anyway. I enjoyed the characters, the dialogue was not at all cheesy and there was enough suspense to keep me page turning. The best praise for a novel is when immediately upon finishing, the reader is googling to find out if there is a sequel. I did and there is – just published and will be read as soon as I can get a copy. A few years ago I used to joke that you couldn’t swing a young adult novel without hitting a vampire. Vampires everywhere on those shelves designed to attract teen readers. Perhaps I am racist (are vampires a race??? ), but I don’t like vampires. I just can’t get into vampire romance, vampire angst, vampire anything. Now, zombies on the other hand – those I like: movies, books, documentaries, etc. 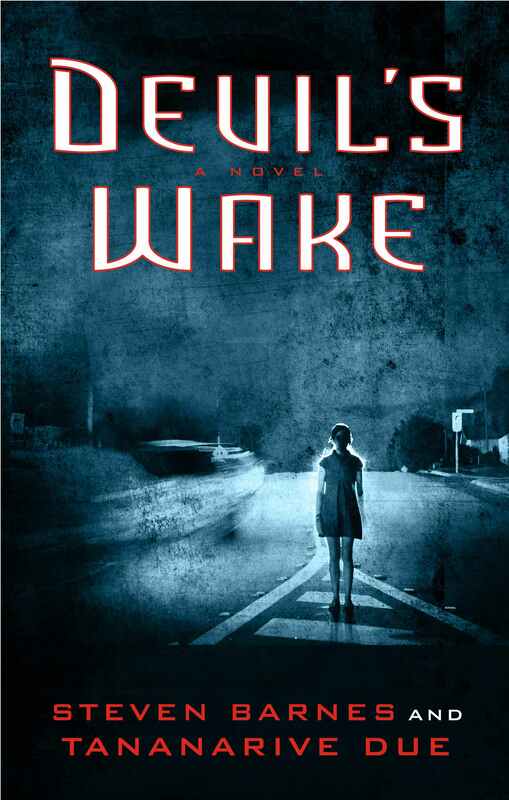 “Devil’s Wake” in many ways is the retelling of the same old zombie story – for some unknown reason, bang – zombies everywhere. 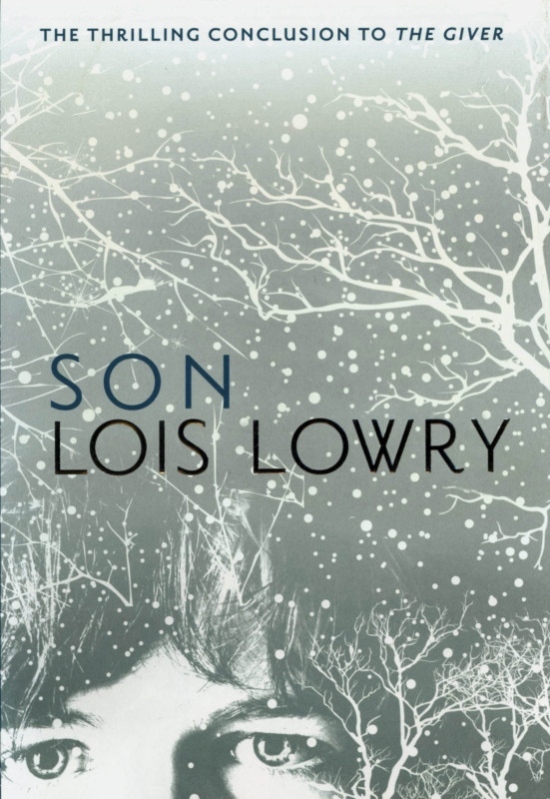 This one, however, set with teens as main characters, feels different. It feels as realistic as a zombie outbreak can feel. The characters seem plausible, just the right amount of mayhem, and the Scooby Doo and gang feel to trying to find a place of safety. It was a comfortable read. I liked it all and finished it in one night. Was it as deep as “War and Peace”? Nope. But it was just what I needed to pass a night without a lot of effort.